Earn 770 loyalty points when you order this item. 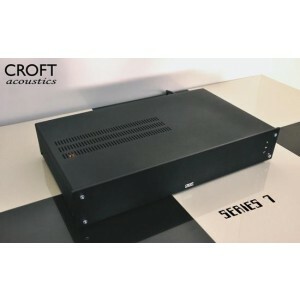 Croft Acoustics Series 7 power amplifier (available on 0% finance when you spend over £1000 - perhaps with a matching pre amplifier and speakers?) is considered by us as "entry-level" but quite honestly there are only a minority of manufacturers in the market who are capable of producing amplifiers that are this good. A hybrid design which uses 1 ECC83 valve for the input and high quality Mosfets for the output. Not a lightweight at 45-50W rms and very stable, capable of driving a wide variety of loudspeakers even those which present challenging loads. So far the Croft Series 7 has been universally well received by dealers, distributers and customers. 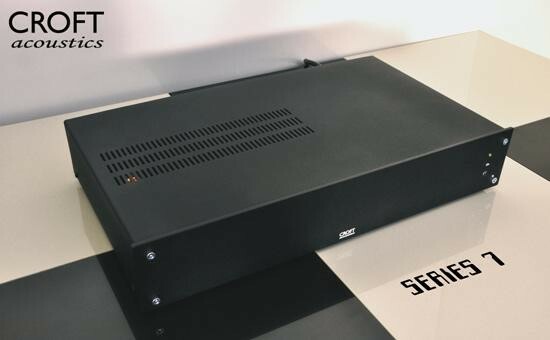 If you are looking for a solid performer at a reasonable price point then this is the power amplifier for you. This combo is fantatsic. I will one day upgrade to the 7R Mono's and the 25R. This is my 2nd Office hifi and it gives my main stereo costing many times more a real run for its money in all aspects. Less is more.